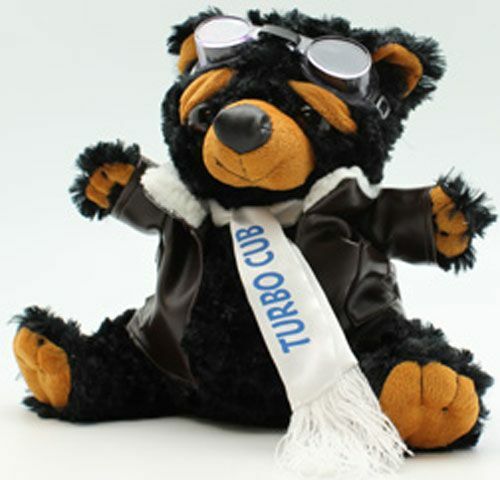 Aviation Gift – Meet Turbo Cub, our plush Pilot Bear is ready for take-off on the next flying adventure. This stuffed Pilot Bear animal is soft, cuddly, and prepared for flight in its faux flight jacket, scarf and goggles. Turbo Cub has an adorable face, and is a well fed bear with a bit of a pot belly so make sure you do weight and balance calculations before flying. This Pilot Bear would also be an ideal mascot for a pilot!